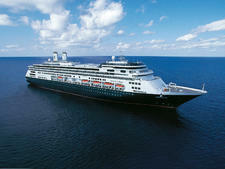 Nieuw Statendam represents the latest offering from a more modern and engaging Holland America. 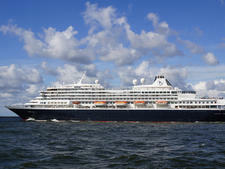 The line's largest ship to date cements its Pinnacle Class, which debuted in 2016 with Koningsdam, as the future of a brand that has been sailing for nearly 150 years. 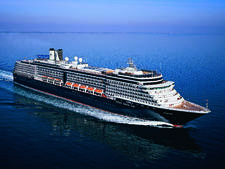 Many of the same features from the first Pinnacle-class ship have been carried over to Nieuw Statendam, including the World Stage theater, a two-tier Lido Deck with movie screen, a wine-making venue called Blend, the Music Walk, Rudi's Sel de Mer and solo cabins. Other elements have been tweaked based on customer feedback -- moving the Lincoln Center Stage venue away from the noise of the casino, expanding the ship's suites as well as rearranging family cabins and adding call buttons to tables on the Lido. 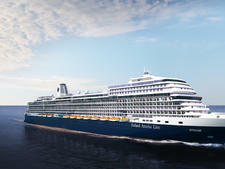 Also new is a pay-for-perks program called Club Orange that allows passengers to purchase access to priority embarkation and debarkation, a concierge, dedicated help desks, priority restaurant reservations and a dedicated restaurant. We weren't sold on the program, and think the cost (currently $35 per person, per day) is a bit steep for what you get (even including the free tote bag and one free glass of wine). 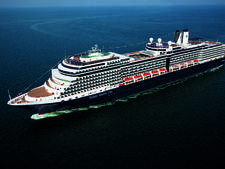 Even the music theme carries over from Koningsdam, with extraordinary design elements and of course, performances, that hit all the right notes. 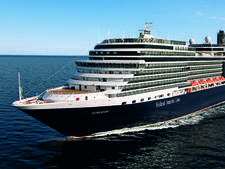 The onboard art collection is completely unique and is the largest collection of any ship in the fleet with an impressive variety of more than 2,000 works. More than ever, Holland America's choice of partners shine on Nieuw Statendam; Rolling Stone Rock Room, created in partnership with Rolling Stone Magazine, offers an outlet for passengers looking for an edgier evening experience. A linkup with Fujifilm brings the onboard photo experience into the 21st century with an interactive photo and souvenir studio called Wonder Photo. 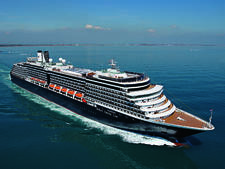 And, of course, the line's partnership with Oprah Magazine (Oprah Winfrey is also the godmother of Nieuw Statendam) is evident in the onboard programming -- meditation, book clubs and workshops. 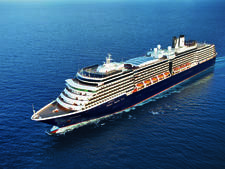 Nieuw Statendam strikes a tricky balance as a ship that can be calm without being boring and geared toward adults without isolating families. There are plenty of quiet spaces that come alive at night and all the live performances prove more engaging than sleepy sets from a single band in the atrium. Kids and families will have fun traveling and exploring together even without water slides and roller coasters. 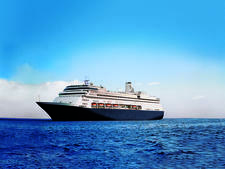 Most importantly, for fans of the cruise line, Holland America hasn't abandoned its traditional roots to segue into modern times; it's embraced and evolved them. 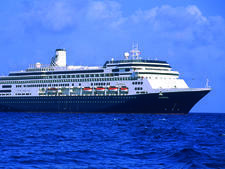 Guests on Nieuw Statendam are mainly older couples, past retirement, from North America, with others from the U.K., Australia and, due to the line's Dutch heritage, the Netherlands. 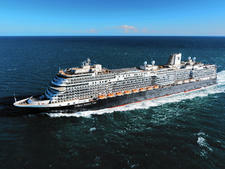 While the ship sails in the Caribbean you can expect more kids, as well as multigenerational family groups. Cruise Critic’s professional photographers and our extraordinary community members have taken 1,638 pictures of Holland America Nieuw Statendam. When you visit our photo galleries, you can be assured that what you see is what you get. During the day, resort casual attire is the norm. However, shorts, bathing suits, cover-ups, tank tops for men and distressed jeans are discouraged during the evening, especially at dinner. 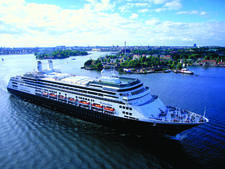 Gala Nights are Holland America's version of a formal night, and invoke a dress-to-impress atmosphere with at minimum, collared shirts and slacks or skirts/blouses or dresses expected in all specialty restaurants as well as the main dining room. Gentlemen who don't feel like packing formalwear can preorder attire and have it waiting in their stateroom when they board. 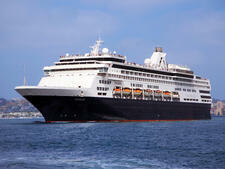 The automatic tip for passengers staying in interior, ocean-view and balcony cabins is $14.50 per person, per day. Passengers in suites are charged $16 per person, per day. If services exceed your expectations, an additional cash tip to room stewards or waiters (including room service) is always welcome. 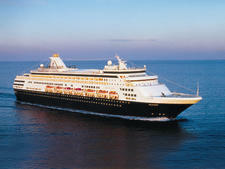 Gratuities can be adjusted at guest services before departing the ship. A 15 percent auto-gratuity is added to all bar bills and spa purchases. 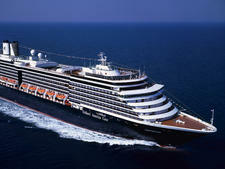 Oosterdam, launched in 2003, carries 1,916 passengers and offers a more modern twist on a classic ship.